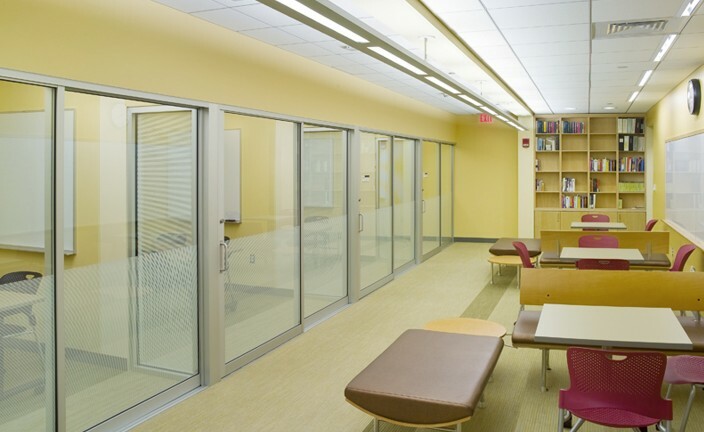 The Center for Teaching and Learning at Bryant University is part of a larger project to masterplan and renovate the Unistructure building. 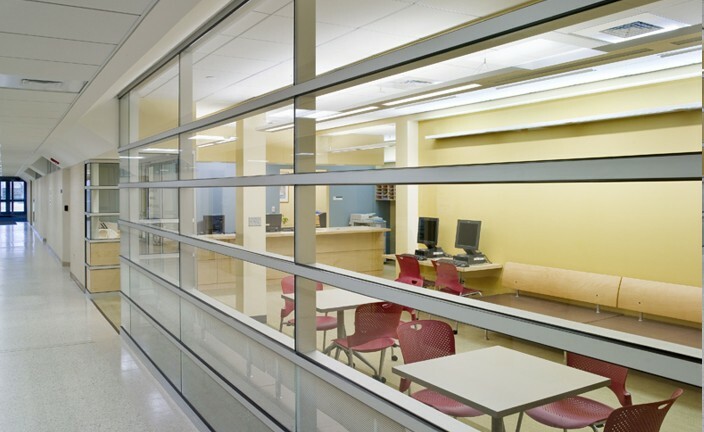 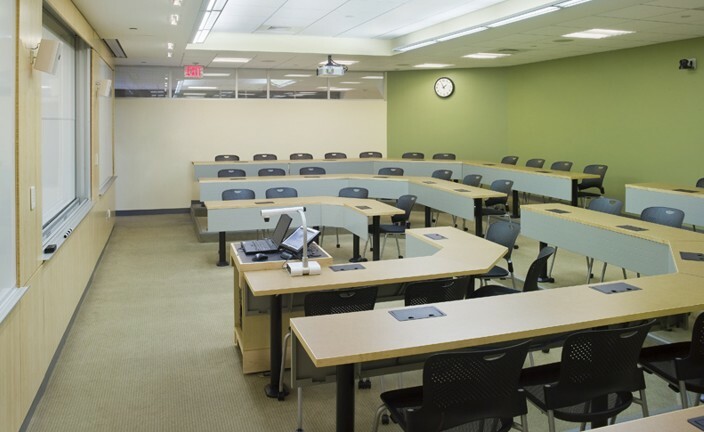 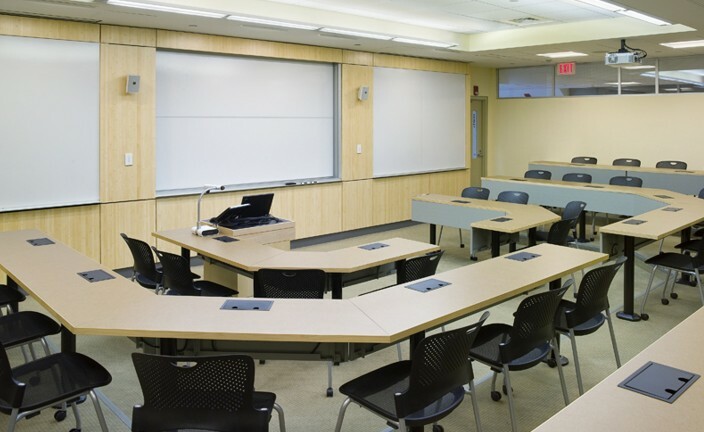 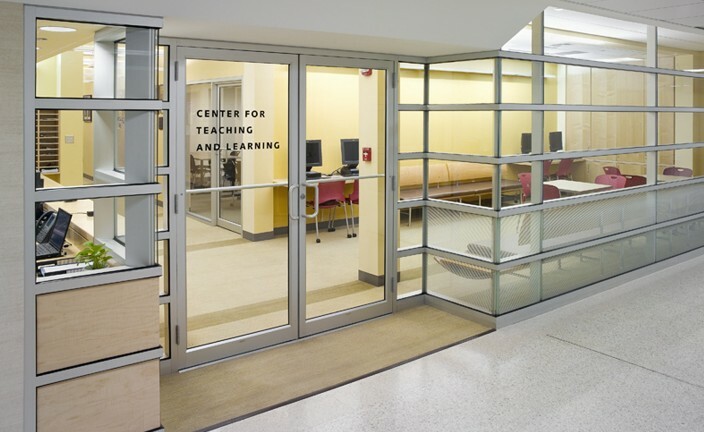 The suite includes classrooms and open environments for the school's Academic Center of Excellence (ACE) and several other specialized learning programs. 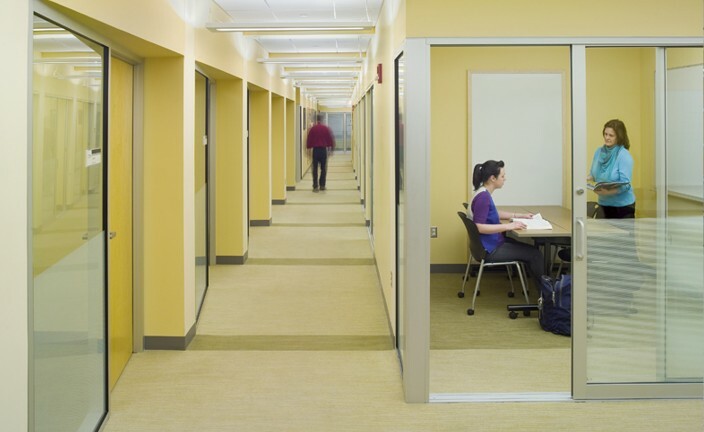 The idea was to create different types of spaces to accommodate the range of tutoring services that the center offers, whether private one-on-one tutoring, or collaborative sessions, or lecture environments.